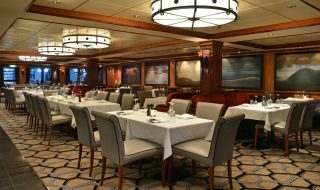 The Norwegian Cruise Line operated ship has completed a major refurbishment where just about everything was renewed and refreshed. There weren’t any new spaces added onboard but workers really did make it seem like there were. 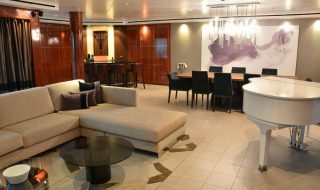 New flooring, carpets, walls and a whole lot more has given the vessel a new lease of life. 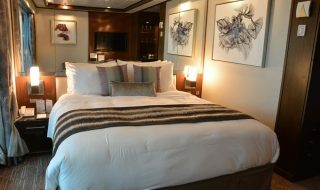 1,197 staterooms got the biggest upgrades with a total overhaul including a completely refreshed look, new furniture, new carpeting, new headboards, new televisions as well as the addition of USB outlets where guests can charge their handheld devices. 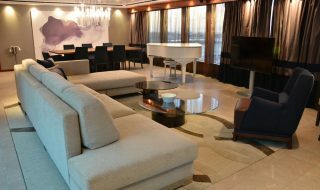 The Haven’s suites and villas also received extensive modernizations with new wall paper, new furniture, new finishes on the ceilings and balconies, new carpets, new drapery and artwork. 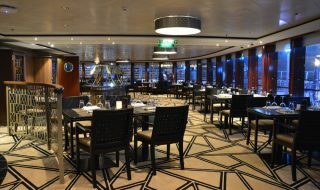 Many of the ships public lounges and spaces received some attention including the Haven Courtyard, Cagney’s Steakhouse, Moderno Churrascaria, O’Sheehan’s Bar & Grill, Sky High Bar, The Great Outdoors bar and the main pool area. 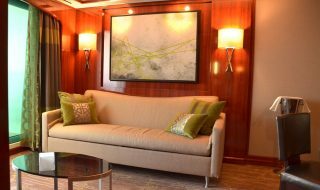 Guests will get to enjoy a new modern look with new decor, artwork, tiling and artwork all around. Many technical aspects were also given some attentions which is usual during dry dock. 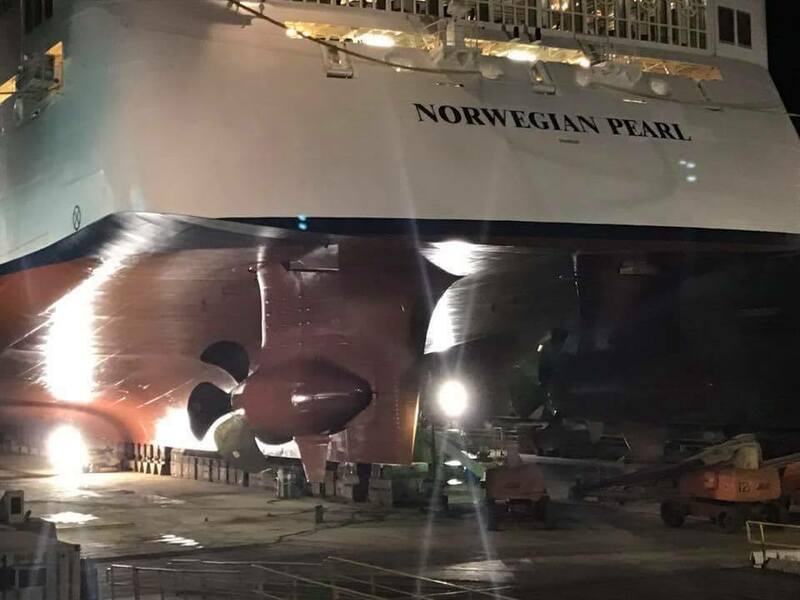 Norwegian Pearl arrived into its homeport of Miami, Florida this morning to resume its service. 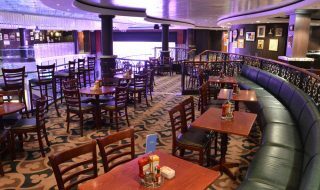 The ship is sailing Caribbean cruises through April and then will reposition to sail the Summer season in Alaska. 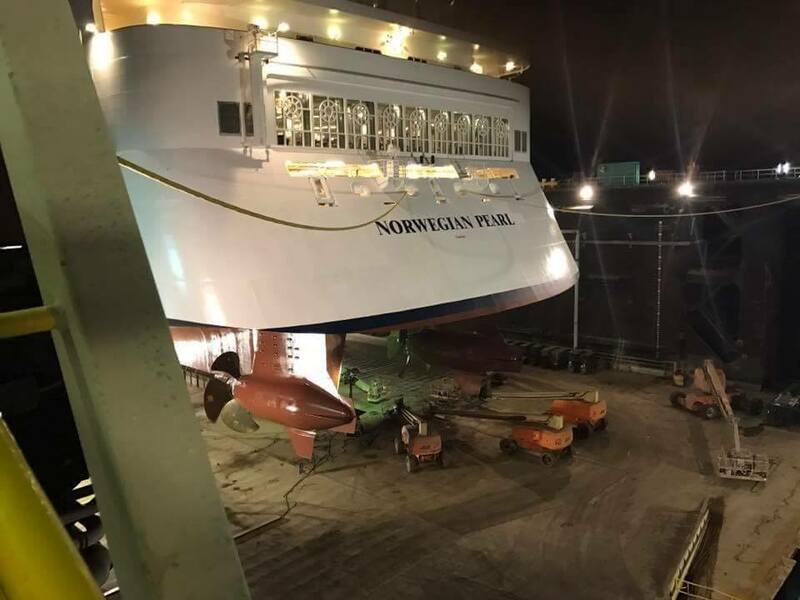 The 93,500 gross ton vessel’s renovation is part of “The Norwegian Edge” program, a major multi-million program to improve the cruise line’s ships and private destinations.